Iceland is hardly off-the-beaten-path these days. Eyjafjallajökull‘s 2010 air-traffic-halting eruption may have wreaked havoc, but it also put Iceland on the map and on most travelers’ bucket lists. 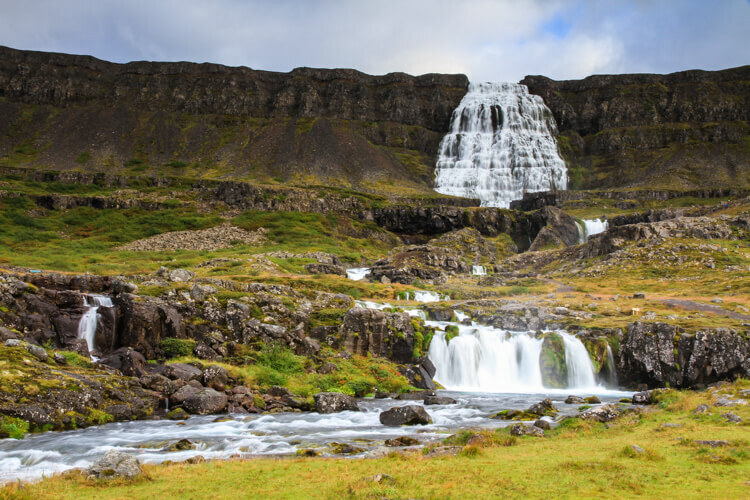 These days Iceland is more accessible than ever with the near constant addition of new routes and the Icelandair Stopover program makes it hard to resit exploring the most popular attractions on the Golden Circle. But even with Iceland’s eruption on to the tourist radar, it’s still easy to find virtually tourist free parts of the country. Which is exactly why our last trip took us into the wilds of the Westfjords of Iceland. 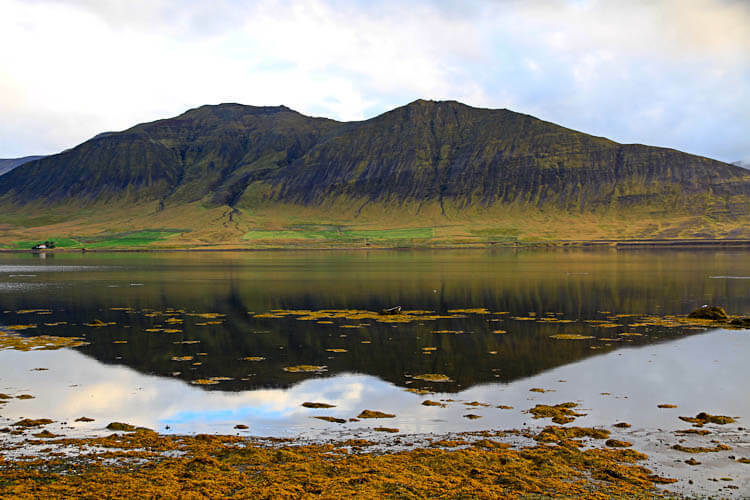 Only 2% of Iceland’s tourists visit the Westfjords. The bus tours don’t go to the Westfjords (thankfully! ), tourist services can be few and far between and the roads can be…interesting. But isn’t that part of the fun of an adventure? 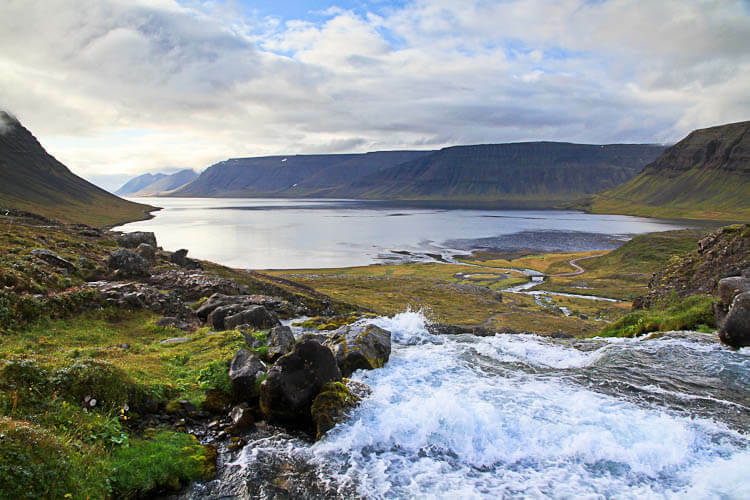 The Westfjords are characterized by breathtakingly high cliffs and tall mountains. 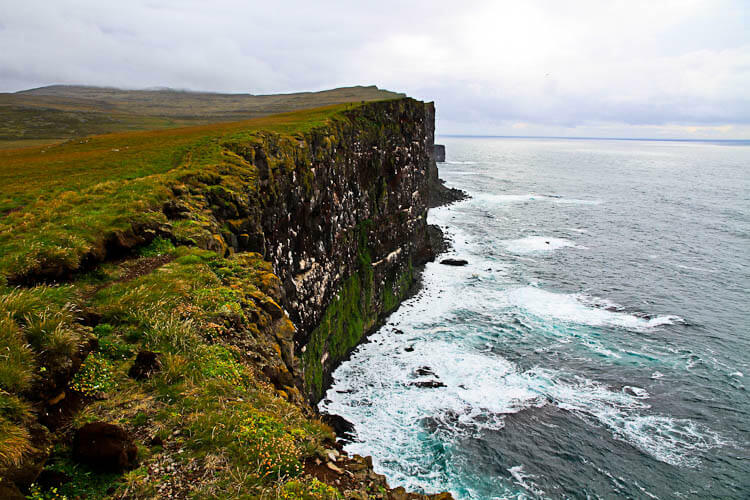 There is hardly a better place than the dizzyingly high Látrabjarg cliffs. Latrabjarg, Iceland is Europe’s westernmost point and Europe’s largest bird cliff at 14 kilometers long and up to 440 meters high. Millions of birds return year after year to the same burrows they made almost like clockwork. Puffins, northern gannets, guillemots and razorbills arrive almost always during the third week of April and stay to breed before leaving again at the end of August. Though 40% of the world’s bird population of some of these species live on the Latrabjarg bird cliffs, it’s the millions of puffins that most people come to see. The height and delicate nature of the cliffs provide protection for the birds from predators like Iceland’s Arctic fox, and so most of the birds here are fearless. We were about a week late when we visited and all the birds had already left for the season, but Látrabjarg is still worth a visit for the stunning views. 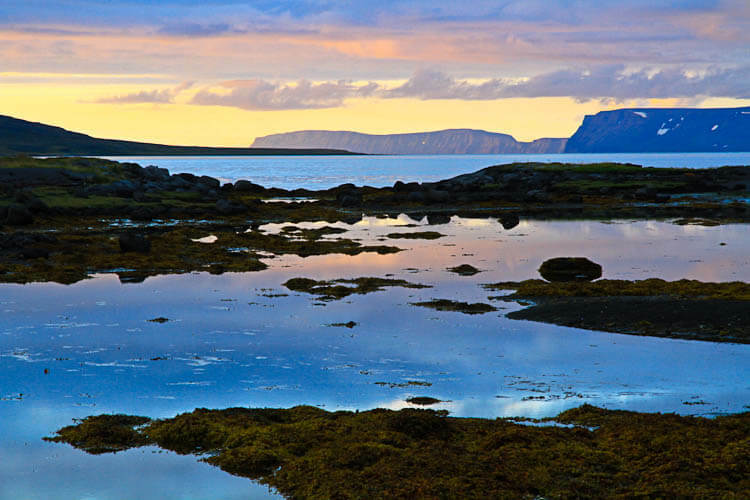 No matter what time of the year you do, Látrabjarg should be on any Westfjords itinerary. Hotel Breiðavík is nearby to Látrabjarg and is open from May 1 – September 30. It does have a delicious restaurant that can really hit the spot after spending a windy and cold few hours exploring the bird cliffs. There’s also a gorgeous long golden sand beach in front of the hotel. 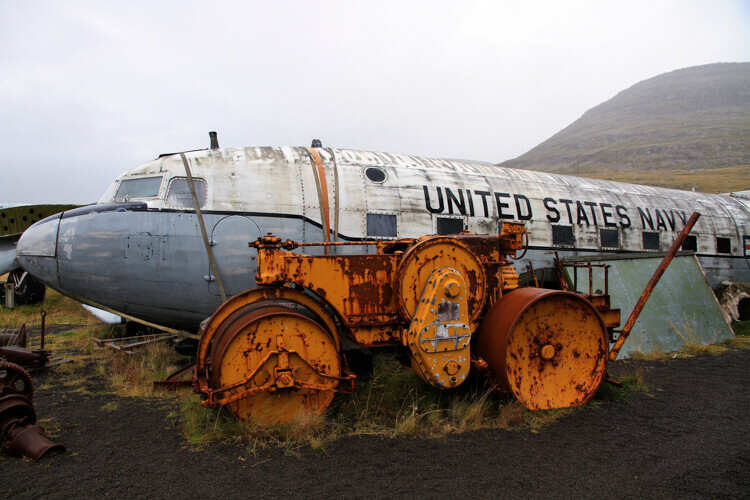 The Iceland Westfjords have some quirky roadside attractions and the sort of plane graveyard museum at the Hnjótur farm is something you definitely can’t miss when driving between Látrabjarg and Hotel Breiðavík. It’s so confusing as to why there’s an old US Navy Douglas C-117D hanging out on a farm that you also can’t help but stop to have a look. Supposedly the farmer at Hnjótur who has since passed on received the plane as a gift from the times when the US military once had troops stationed in Iceland. It seems odd, but the military plane and a collection of other small planes and things are on display. The Garður BA 64 is the oldest steel ship in Iceland and was built and launched in Norway as a whaling ship in 1912. It was sold several times before it was sold to Iceland during WWII. 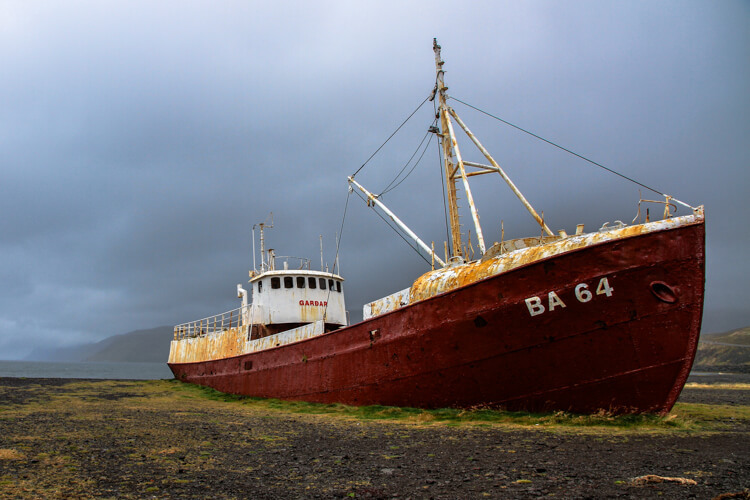 In 1981 it was deemed no longer fit for duty and was run aground at a beach at Skapadalsfjall in the Westfjords instead of being sunk at sea as ships were in that time. Now it lies on a black pebble beach where sheep occasionally munch on the seaweed that washes up around the rusting grave. It’s a cool roadside attraction to spend some time photographing. If you stopped for every roadside waterfall you came across on an Iceland road trip, it would probably take you years to actually circumnavigate the island. But not all waterfalls are created equal and some require you to stop, like this one we came across where the melting snow had formed a bridge over the stream. This nameless waterfall is along Highway 60 on the way to Dynjandi waterfall, and though you can see it from the road we did hike 20 minutes or so up to it for photo ops. Something Iceland definitely has no shortage of is waterfalls and Dynjandi is without a doubt the most spectacular one in the Westfjords. It’s actually a series of seven tiered waterfalls reaching a cumulative height of 100 meters. 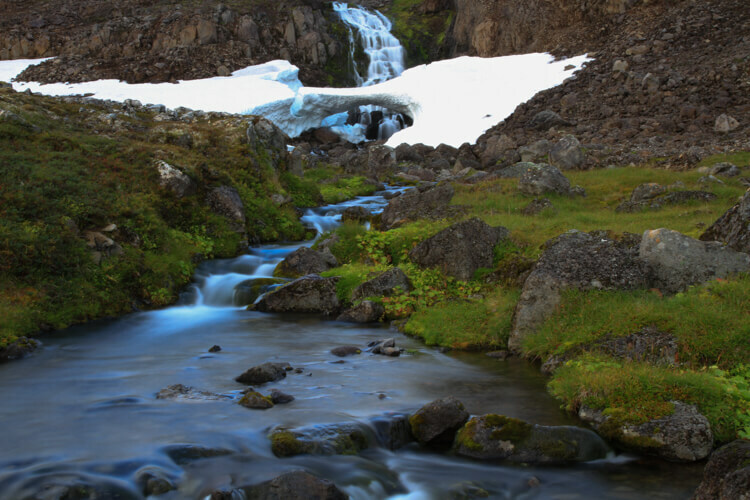 Dynjandi means thunderous and the falls definitely thunder down the mountain before gently drifting out to Arnarfjöður. You can follow the hiking trail all the way to the top of the Dynjandi falls. It’s not a very strenuous hike and should only take around 90 minutes round trip, though allow plenty of time for all the photo ops at this stunning waterfall. Isafjordur is the Westfjords largest town. It’s not only an excellent place to visit a grocery store to restock up on supplies, but also a place you’re sure to find restaurants open year round for a hot meal. Don’t miss popping in to Bræðraborg, a cafe and office of Borea Adventures in the center of town. The family runs the small cafe and bakery and the mother makes the most delicious homemade granola bars. Her recipe is so secret she hasn’t even shared it with her sons yet, but trust me when I say these are they best granola bars you will ever taste. You have to pick some up for the rest of your adventure. 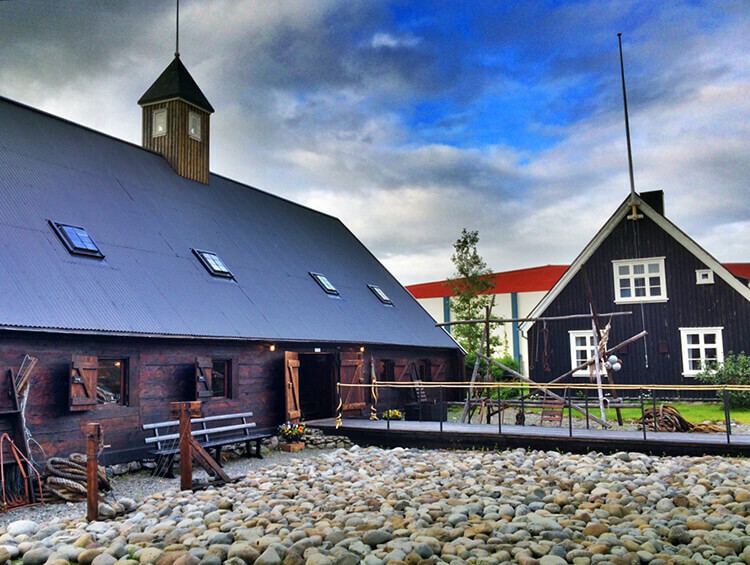 You’ll also want to put away the camp stove for a night and venture to Tjöruhúsið for dinner. It’s boasted as the best fish restaurant in all of Iceland. It’s located in some of the oldest buildings in all of Iceland and is on the harbor. The fisherman bring in their fresh catch of the day and the menu is based on what was caught. One thing you can almost be guaranteed to be on the menu is Icelandic fish soup and it is the best we’ve had anywhere in Iceland. 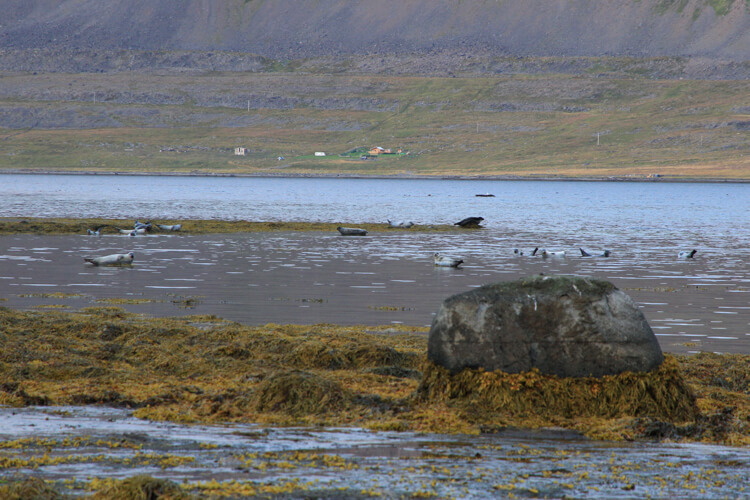 The Hestfjörður is one of those places where you are almost always guaranteed to see seals and there’s no better way to see them in their natural habitat than to get in the water with them. If you’re thinking that I’m nuts because that water must be way too cold for a swim, you’re spot on. But it’s not too cold to kayak in and paddling out on a day tour to Vigur Island gives you the opportunity to get up close with the seals and maybe even whales. Vigur Island is also home to Iceland’s only windmill and Europe’s smallest post office where you can send postcards with a special stamp. There’s also a farm on Vigur Island and the farmer sells eider duck down and down blankets. It’s the Westfjords where the arctic fox, the only native land mammal to Iceland, reigns supreme. Arriving in Iceland over 10,000 years ago, it’s estimated their population is around 8000. Though they live throughout Iceland, their population is highly concentrated in the Westfjords likely because of the food supply from the bird cliffs here. And even though there are quite a lot of arctic fox in Iceland, it’s pretty rare for visitors to actually spot them, especially since where the majority live is in the road less Hornstrandir Nature Reserve. 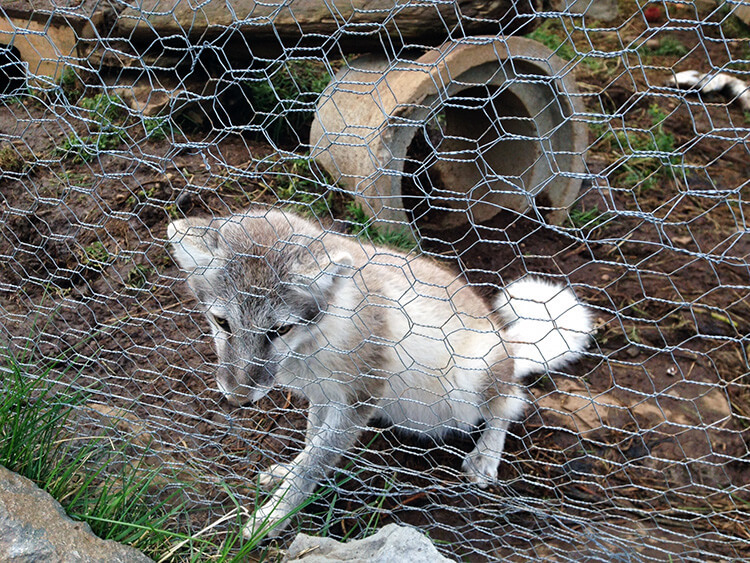 One place you can be certain to see and interact with arctic fox is the Arctic Fox Center. Established in 2007, it serves as a non-profit research and exhibition center. They have some orphaned arctic fox, since Icelandic law prohibits arctic fox that have been raised by humans to be returned to the wild. The museum is also informative and there is a small cafe with homemade food from May – September. Arctic fox are allowed to be hunted partly as tradition and partly as protection for farmers herds of sheep. Sadly, their population has been in decline the last couple of years and an assessment in 2014 found there were one third less than from the previous assessment in 2013. It’s believed the decline is because of climate change, pollution and loss of food supply. Your visit helps the center participate in and promote research programs. Arctic Fox Center is open daily June – August from 9am – 6pm, daily in May and September from 10am – 4pm, and Monday – Friday October – April from 10am – 2pm. Admission is 12oo ISK and children under 14 are free. 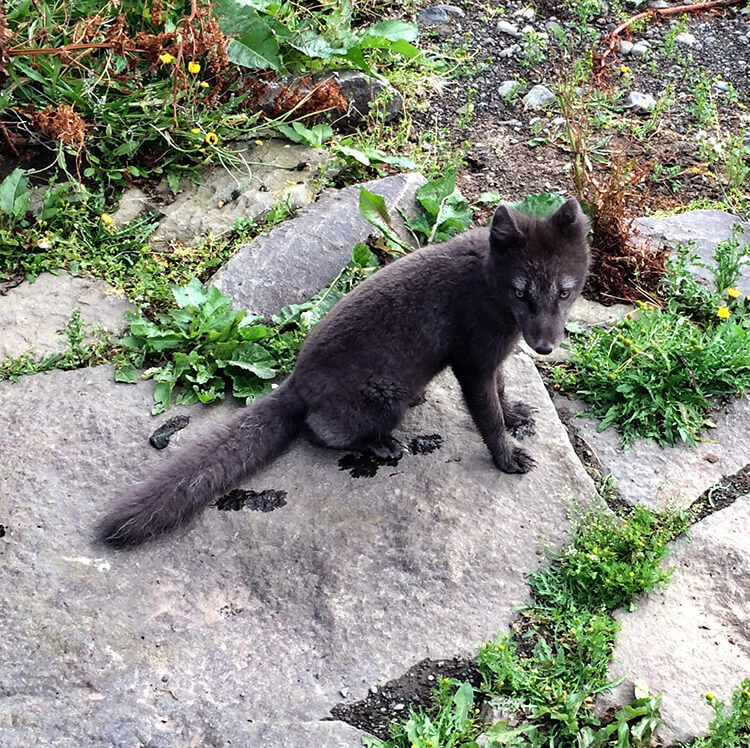 Arctic Fox Center can also organize 1 – 3 day arctic fox tours for you to see them in the wild. Absolutely love Icelandic hospitality! This is on the side of the road conveniently where seals like to lounge on the rocks. 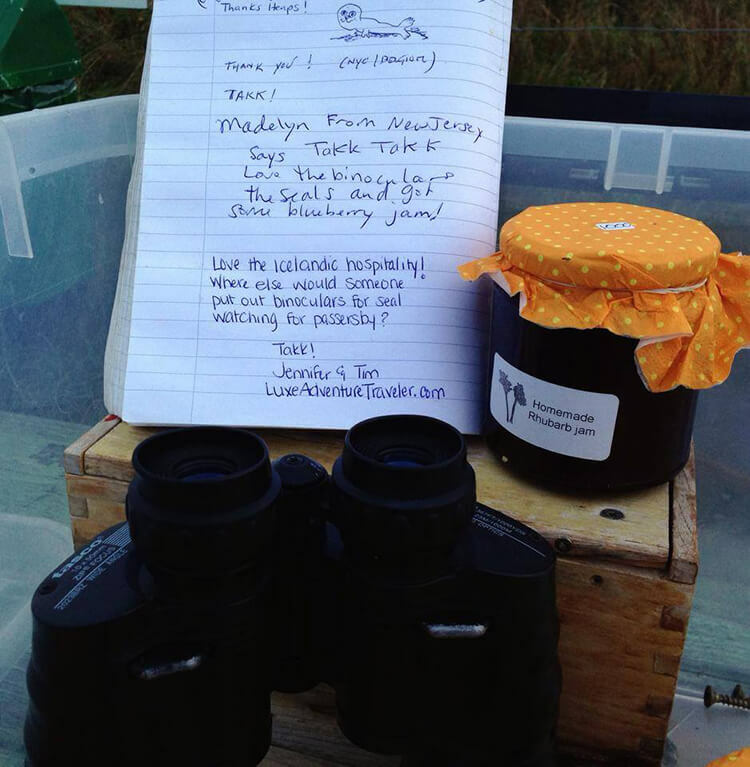 Homemade rhubarb jam if you leave 1000kr and binoculars to get a better view of the seals for free. We still think the best way to see the seals is to get close up in a kayak, but if you’re not keen on getting in to a kayak in pretty close to icy cold waters you can still stop and see the seals. A kind farmer on Highway 61 just above where the seals like to hang out has a little table set out with a big tupperware box on it. Don’t be shy about looking in the box because they’ve generously left binoculars so you can get a good view of the seals. They also make homemade jams – rhubarb when we were visiting – and you can take one (or a few!) if you leave 1000 Icelandic Króna (about $8 USD) in the box. Heydalur was our favorite of all the campsites we stayed at and definitely worth bouncing up and over the mountain via the unpaved road that Google insists you can’t drive on. Not only does the farm have an excellent on-site restaurant, it’s also home to a very friendly Arctic fox who loves to play. But watch out because she does bite, albeit playfully, but it still hurts. Tim had all sorts of scratches and she drew blood on a few bites on his feet. Heydalur also has a natural hot pot. Just look for the little house and the hot pot is right next to it. 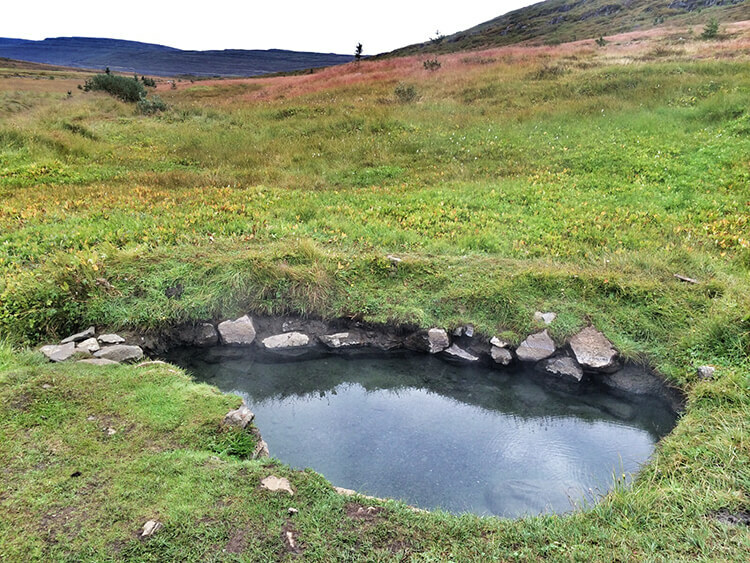 Icelanders believe there are therapeutic benefits from slathering yourself with the bubbling mud at the bottom of these hot pots and then soaking for a bit. I’m not sure the mud does anything, but it sure is relaxing sitting in a natural hot pot. The Northern Lights might even dance overhead depending on the time of year you visit. Iceland can definitely put on a show with its sunsets and that’s especially true in the Westfjords. The great thing with the camper van is that you can just pull over and cook your dinner while the sun tinges the fjords in pinks and golds. Can you imagine a more romantic setting? 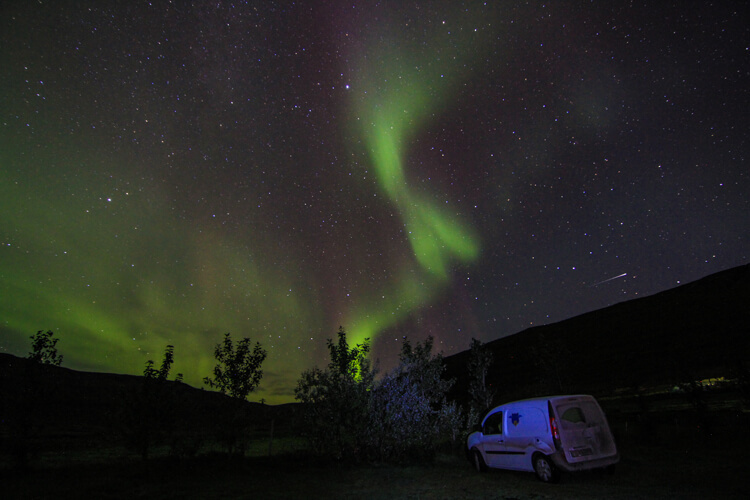 When you’re exploring the Westfjords by camper van it’s more like wait for the Northern Lights. Without the need to get outside of the city and away from light pollution and with your van also your bed, scouting for Northern Lights has never been easier. Just slide the door to your camper van open and pop your head out. The mountains and fjords make for a stunning setting to witness one of nature’s greatest phenomenon. 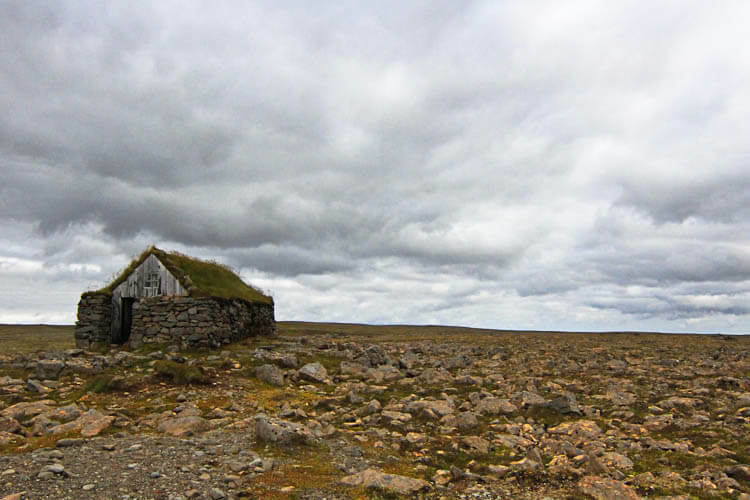 Iceland’s turf houses were a type of style of houses brought to the country by Nordic settlers. The turf houses offered superior insulation to those just made of stone or wood. This particular one is open so you can have a peek inside and is a free roadside attraction near Hólmavík. No Iceland road trip would be complete without at least a few stops (probably more like a dozen in our case) to nuzzle the friendliest and most beautiful horses in the world. 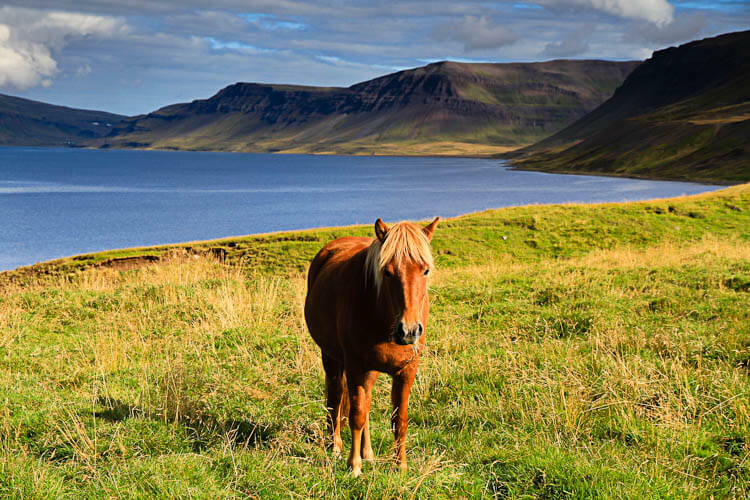 They’re pretty hearty horses and love hanging out outdoors even in wintertime, so there’s no storage of places to get up to them when road tripping around Iceland. 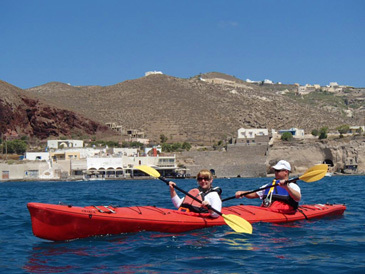 While some tours do depart from Ísafjörður, they are more adventure tours like hiking and kayaking. The Westfjords are best explored by car or camper van. 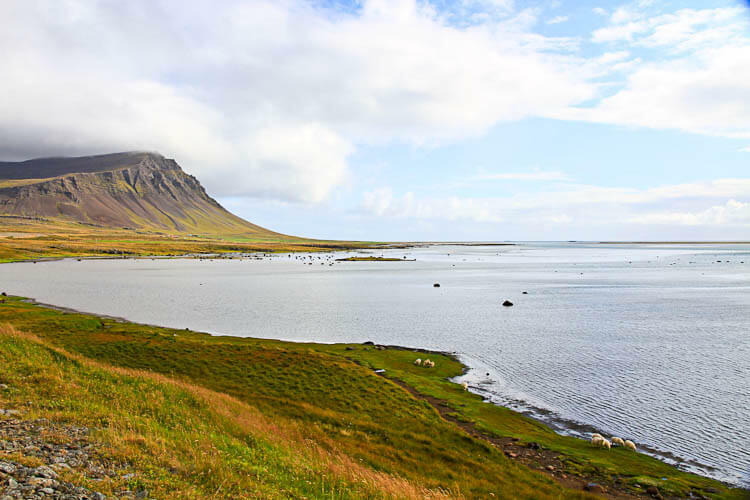 We recommend the Hotel Flokalundur Campsite in Vatnsfjörður for exploring Látrabjarg and surroundings, Dynjandisvogur Camping Ground for exploring Dynjandi and surroundings, Tungudalur Camping Site for exploring the Ísafjörður and Heydalur for exploring the Hestfjörður. I love all your photos – Iceland looks stunning. I’ll have to make sure I get there one day! Iceland is our favorite country. We’d go back again and again! You should definitely plan a trip. Oh my. This is so beautiful. 🙂 I need to go here. Iceland’s varied landscapes are one of the things that make it our favorite country. Hope you get to visit soon Dalia! Amazing photos! I haven’t been to Iceland (yet!) but it’s always been my dream. Maybe 2016 will be my year to see its stunning landscape. You should definitely go, Kate! Iceland is our favorite country. 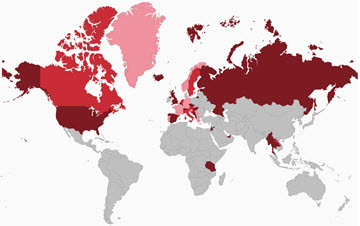 If the fees weren’t so high and the quarantine period weren’t so long for our pets, we would be moving to Iceland this summer when we leave Italy. Wow, I can’t wait for our trip to Iceland in September! The more I read the more excited I get. Thanks for all the great tips too, I just hope we have time to squeeze everything in. You will love Iceland, Nikki! How long are you staying for? So amazingly beautiful! How long does it take to drive the West Fjords? My husband and I would love to visit Iceland for our 10 year anniversary and are hoping for two weeks. It would be our first international vacation! Is two weeks enough time to do the ring road and the west fjords? We don’t want to feel rushed. Thanks for the beautiful pictures. Two weeks is a good amount of time to be able to do the Ring Road and the Westfjords. I would plan at least 4 days on the Westfjords. If you do the kayak trip out to Vigur Island, that is a full day alone and well worth it. There is just so much natural beauty everything that it takes you three times as long to get anywhere because you want to stop and take photos constantly! Gorgeous photos! My husband and I are on holiday in Iceland right now. We’ve already looped the country and are heading up to the Westfjords for a few days now. Thanks for the tips! Great post, thank you! I am looking to travel to Latrabjarg bird cliffs at the end of August this year, hoping to see some puffins — when did you travel there? You said you were late by about a a week, so just curious. We were there in early September. You’ll definitely see all the birds if you’re visiting in August!